A leading expert in eating and mood disorders and a pioneer of integrative medicine, James M. Greenblatt, M.D., offers a revolutionary approach to improving mental wellness. In this free webinar, presented by CRN in collaboration with Skipta, Dr. Greenblatt discusses how to integrate dietary supplements into your practice for helping patients with general anxiety, mild depression, and general mood support for healthy people. 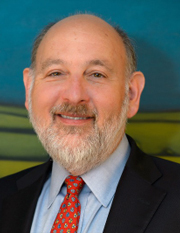 James M. Greenblatt, M.D., currently serves as the Chief Medical Officer at Walden Behavioral Care in Waltham, Massachusetts, and serves as an Assistant Clinical Professor of Psychiatry at Tufts University School of Medicine. Dr. Greenblatt is a pioneer in the field of integrative medicine who has treated patients with complex behavioral and mood disorders since 1990, contributing to the revolution of consumers seeking “personalized medicine." For the last three decades, Dr. Greenblatt has devoted his career to educating his colleagues, clinicians, and patients how integrative medicine can have profound effects on mental wellness and how to employ balanced, integrative strategies in the treatment mental illness. Dr. Greenblatt has published three books: Answers to Anorexia (2011), The Breakthrough Depression Solution (2012), and Answers to Appetite Control (2014) sharing his clinical experience treating complex mood and eating disorders utilizing an integrative approach. Go to Dr. Greenblatt's website.